Texfusion & The London Print Design Fair will take place on 31st October + 1st November 2018. The escalating success of the 2 shows leads to a substantial increase in numbers, with a wider exhibiting area now expanding to the gallery level. Two days dedicated to design and international manufacturing, not to be missed by the industry professionals. The PRINT DESIGN area hosts 50 among the top European print studios, coming to London to present their latest collections. Innovation and creativity are offered to the top British fashion brands, which have the exclusivity to preview the new trends at the Business Design Centre this autumn. “Fab show, lovely atmosphere… The new space is great. Clients came from many European countries, it was really exciting……It’s great to have a show like this in London.” Sam Morray, Sam Morray Design – Exhibitor TLPDF. The Print Design Fair had as usual a strong presence of British Studios (about 80%) wit increasing number of exhibitors from abroad: France, Italy, Switzerland and US. A small selection of Vintage Garments will be presented beside the prints, responding to the increasing attention to vintage by the top fashion brands. TEXFUSION, on the other side of the hall, counts now around 180 exhibitors, almost doubling the numbers from the March 2018 edition. This significant increase in numbers is generated by the new partnerships with The Taiwan Textile Federation (TTF), Tengda Exhibition (China & Hong Kong) and the Synthetic and Rayon Textiles Export Promotion Council (India). The products presented at Texfusion are: fashion fabrics, accessories, garments, technical fabrics and denim produced in 20 international Countries. TENGA EXHIBITION organises the China & Hong Kong Pavilion at Texfusion taking 40 exhibitors presenting fashion fabrics, garments, accessories and denim. Chinese fabrics and garments are in high demand in the UK thanks to the competitive prices and production reliability. 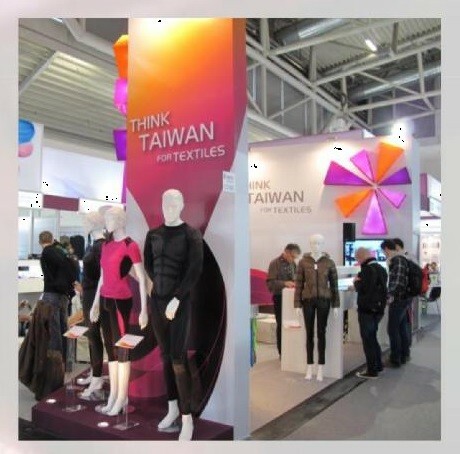 For the second time at Texfusion, THE TAIWAN TEXTILE FEDERATION (TTF), is organising the Taiwan Pavilion, taking 10 companies specialising in technical fabrics, sustainability and denim. Taiwan is renown in the industry for the massive investment in new technologies and R&D which has developed, over the years, onto a flourish proliferation of high-end and ultra-specialised group of manufacturers. The Indian Pavilion will be coordinated by the Synthetic & Rayon Textiles Export Promotion Council (SERTP) including 40 manufacturers. The range of products presented within the Indian Pavilion covers fashion fabrics (with a wide range of shirting and suiting), accessories and garments. “Friendly environment for new business opportunities” Laura Beretta, Thermore (Far East Ltd) – (Exhibitor Technical Textiles).